Experience the magic of Artimé and the chills of Quill with the first three books in the New York Times bestselling Unwanteds series, available in one boxed set. 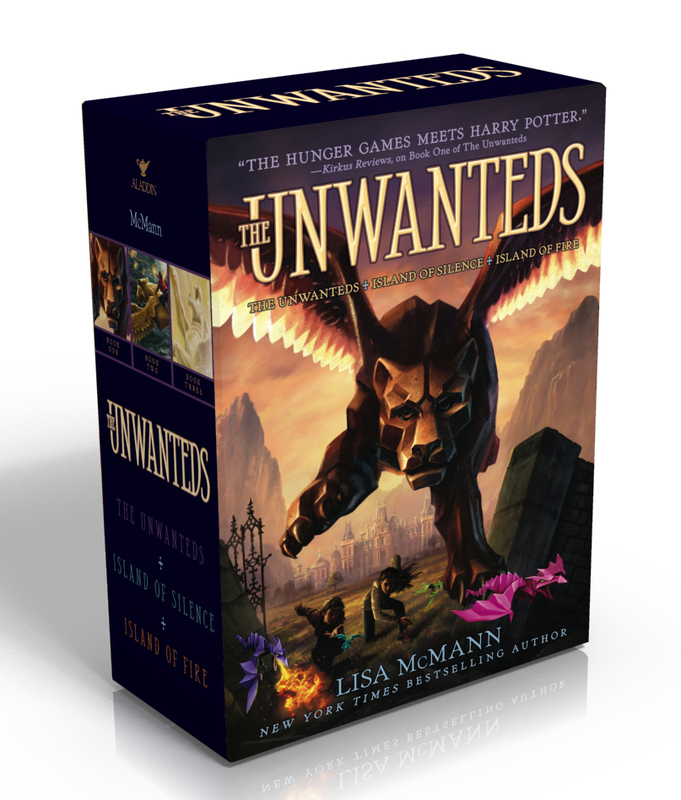 Kirkus Reviews describes The Unwanteds as “The Hunger Games meets Harry Potter,” and now you can find out why with this boxed set of the first three books in the series. In The Unwanteds, when Alex finds out he is Unwanted, he expects to die. That is the way of the people of Quill. Each year, all the thirteen-year-olds are labeled as Wanted, Necessary, or Unwanted. Wanteds get more schooling and train to join the Quillitary. Necessaries keep the farms running. Unwanteds are set for elimination. But after being separated from his twin, Aaron, a Wanted, Alex discovers the magical haven of Artimé—and an astonishing secret that could alienate him from his brother forever. In Island of Silence, life has changed for everyone, and Wanteds, Unwanteds, and Necessaries have new freedoms. But back in Quill, Aaron, horrified by his loss of status, starts plotting his revenge. And in Island of Fire, the Unwanteds have no food or water and are worried about the imminent battle against Aaron and his armies in Quill. Can they restore Artimé to its magical glory?